Elin Wahman (front row, right), program administrator for the Annexstad Family Foundation, visited with UM Annexstad Scholars this fall to meet the freshmen scholars and hear from the upperclassmen about their progress, achievements and challenges. 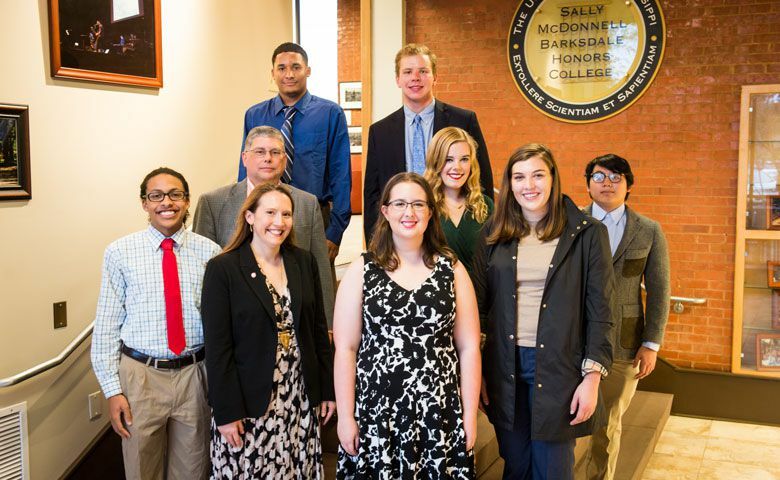 Pictured are (front row, left to right) Annexstad Scholar Cisco Santos of Southaven, Mississippi; Katie Morrison, UM development officer; Gloma Milner of Boaz, Alabama; and Wahman; (second row, left to right) John Samonds, associate dean of the Sally McDonnell Barksdale Honors College; Laurel Lee of Madison, Mississippi; and Tan Le of Gulfport, Mississippi; (back row, left to right) Rotavious Taper of Clarksdale, Mississippi, and David Pfaehler of Independence, Kentucky. Al and Cathy Annexstad, founders of the Annexstad Family Foundation, have long held an impassioned belief that exceptionally bright young people who have little or no means to go to college, and who have endured extraordinary hardship in their young lives, have great potential to one day become leaders in their chosen fields. Students of high moral character, grit and intelligence are chosen to receive renewable scholarships with an objective of earning an undergraduate degree in four years. Leaders for Tomorrow scholars earn their undergraduate degrees as free from debt as possible. Losing parents to untimely deaths in their youth, both Annexstads experienced the power of mentoring as their communities and families rallied around them in their formative years. 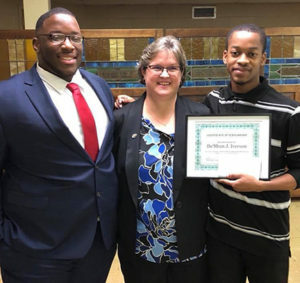 The Annexstads’ deep, personal appreciation of how caring adults and an opportunity for higher education can influence a young person who has been impacted by hardship has led to over 750 scholarships being awarded across the nation since 2000. To date, the Annexstad Family Foundation has awarded 669 scholarships to students at 65 colleges and universities across the country, enabling 245 scholars to graduate. Additionally, 92 percent of Annexstad scholars graduate in four years. University of Mississippi Foundation President Wendell Weakley said the Annexstads decided to award scholarships to UM students after accompanying their granddaughter on a campus visit. Indeed, the Annexstad Family Foundation is well on its way toward achieving Al and Cathy Annexstad’s goal of sending 1,000 young people to college. Most notably, the Annexstad Family Foundation proudly points to a nearly 90 percent graduation rate among scholarship recipients, an extraordinary achievement considering that the majority of Annexstad Scholars are first-generation college students. Today, Annexstad graduates are successfully pursuing careers in medicine, business, science, engineering, law and other critical fields. ﻿﻿ On Penn’s campus, Kayvon is already well-known. A musician and entrepreneur, Kayvon is one of the stars of the This is Our Penn video and has thrilled Penn crowds for nearly four years with his performances. But on the evening of the Scholarship Celebration, attendees got the chance to know Kayvon a little bit better. 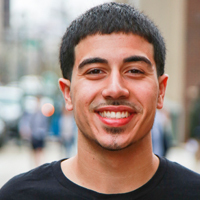 For years before coming to Penn, Kayvon had a dream of coming to the University. And not only for the chance to study among some of the most talented students and professors in the world, but to prove that Penn truly is a place where students from a diverse set of backgrounds can grow and thrive. Kayvon has taken a journey from Baltimore, Maryland to the Milton Hershey School and then to Penn. Once at Penn, there was no stopping him. Kayvon has had the opportunity to learn from leaders in both the business world and the music industry. He’s performed on campus and across the country. Kayvon has interned at a media & entertainment company and a trust fund and he’s done consulting. And he has somehow even found time to give back to the community by volunteering through the Financial Literacy Community Project. 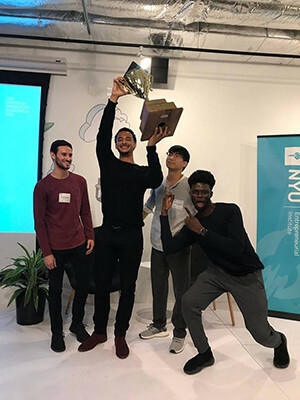 The sky is the limit for Kayvon, and his first stop after graduation will be Silicon Valley where he will be working at Facebook. 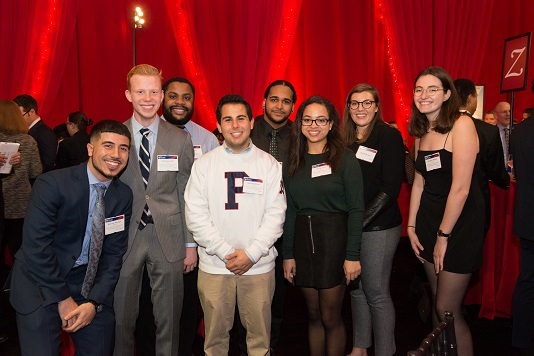 Penn’s scholarship celebrations provide an opportunity for Penn’s generous donors to undergraduate scholarships to meet and build connections with the extraordinary students that their philanthropy supports. Held each fall on the Penn campus and each spring in New York City, these events are headlined by President Amy Gutmann, George Weiss, W’65, HON’14, Trustee Emeritus and founding member of the Men and Women of Pennsylvania, and features two of Penn’s remarkable scholarship recipients who share their personal stories. Every November, our Undergraduate Named Scholarship community comes together on Penn’s campus for the Fall Scholarship Celebration. Nearly 600 alumni, students, friends, University leadership, and parents experienced together an inspiring evening on November 28 that celebrated the generosity of Penn’s scholarship supporters, and the extraordinary accomplishments of students who can study, grow, and thrive at Penn because of the power of financial aid. Scholarship donors and students met with one another – some for the very first time and others enjoying the evening together after years of knowing one another – and sharing together the unique bond of a Penn scholarship. For both the donors and the students, undergraduate financial aid and their love for Penn has impacted their lives in a deep and meaningful way. Penn’s John R. Rockwell Gymnasium felt electric as seniors Elizabeth, C’18, and Kayvon, W’18 (Leaders for Tomorrow Scholar) shared their powerful personal stories. At certain points in both of their lives it seemed that college might be out of their reach, but their grit and brilliance brought them to Penn and financial aid has helped them to shine here and take advantage of all that the University has to offer them. The Fall Scholarship Celebration was hosted by President Amy Gutmann who also provided remarks during the evening, and used the occasion to announce a new Presidential Challenge Match for undergraduate financial aid. The fall is always such a fitting time to come together on campus to celebrate the University of Pennsylvania and the alumni, friends, and students who make it so strong. As the largest university in the U.S. with a grant-based financial aid program, this is only made possible because of the generosity of scholarship donors and their shared commitment with Penn to educational accessibility. When Xavier Smith learned he was Tigertown bound in 2016, he had dual feelings of joy and apprehension. How would the cost of his college education be covered? His freshman year was one filled with Clemson moments, beginning the very first day. “My roommate is one of my friends from high school, and we spent the day walking around campus meeting new people. Without the Annexstad Family Foundation Scholarship, I wouldn’t be here right now having these moments,” he said. 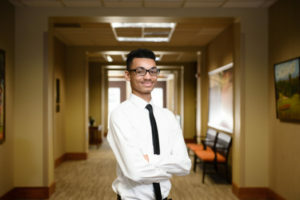 In addition to campus activities, the scholarship is guiding the biochemistry major along the path to achieving his dreams of going into the medical field. Smith is currently considering both neurology and pharmacy and is thankful for the opportunity to do so. Like Al and Cathy Annexstad, Smith isn’t letting his past hardships stop him from achieving his goals, and it’s important that those who face similar situations do the same. Winona State Univeristy (WSU) students are well known to be bright, hardworking, and dedicated to their education. While each one comes from a different background with a different story to tell, there are some who have faced obstacles harder than most. There are some who may have once thought achieving a college degree seemed unattainable given their life circumstances. However, when others step up and help them achieve success, it not only changes their lives but also instills in them the desire to do the same for others. 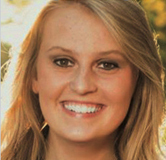 WSU student Jessica Harvey Rigby experienced a tumultuous childhood. Her mother, a drug addict, committed suicide when Jessica was just eight years old. When she was 14, her half-sister passed away from leukemia. Her father, an abusive alcoholic suffering from PTSD, also died of leukemia a couple years later. While she spent some time living with relatives, she also spent a period of time living in shelters and foster care. “The experiences in my life could have broken me down irrevocably,” Jessica says. “Instead, I have chosen to let them make me courageous and determined to succeed.” She has since discovered a passion in caring for others, and is working towards achieving her bachelor’s degree in nursing with a minor in child advocacy, with hopes of being able to work with children in some way. Crystal Becker also had parents who struggled with drug and alcohol addiction, both spending time in prison. Her mother passed away in 2008, and she no longer has contact with her father. While she now has a steady family life with her stepmother, she was unable to afford college on her own. 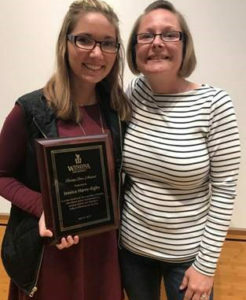 So when she learned she was chosen as the recipient of a scholarship at Winona State that would allow her to graduate debt-free, she says, “I cried, immediately feeling a huge amount of stress lifting off my shoulders.” During her difficult childhood, school was Crystal’s safe haven, her fifth-grade teacher – her rock. As a result, her dream is to become a teacher and inspire children the same way her teacher inspired her. 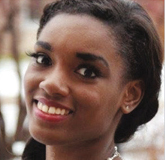 Zaria Smith never saw herself attending college. Although she ultimately changed her mind in order to set an example for her 13 brothers and sisters, she found herself independent after graduating high school, and attending college seemed impossible. 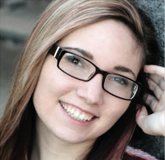 About receiving a life-changing scholarship to attend WSU, she says, “this opportunity has driven me further. I feel like I have someone in my corner rooting for me, and that I am not going through this alone.” As a psychology and communications: leadership and advocacy major with a Spanish minor, Zaria plans to attend graduate school to become a guidance counselor. She has been inspired to give back as soon as she is able and hopes to change the world by positively impacting those she meets. What these three inspiring young women have in common, aside from difficult backgrounds, is that they are all recipients of the Leaders for Tomorrow scholarship at WSU, provided by the Annexstad Family Foundation. 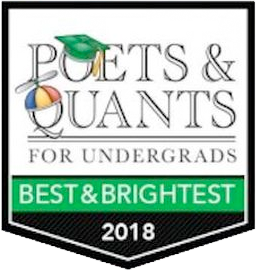 The scholarship helps “exceptionally bright and accomplished students from disadvantaged backgrounds who have overcome extraordinary hardship in their young lives and who have little or no means to pay for college.” The ultimate goal is to allow each scholar to graduate with little to no debt. Working together in close partnership, the University and the Annexstad Family Foundation secure the funds so the goal of graduating debt-free can truly be realized for each Annexstad scholar. For their part, students must continue to fulfill the three requirements of the scholarship: to be enrolled as a full-time student, continue to meet WSU’s academic standards, and stay on track to graduate. Jessica Harvey-Rigby received the Rising Star Award during the Student Leadership and Involvement award ceremony. Campus and community came together to congratulate the students, organization advisors, and clubs/organizations who were nominated for eight Student Leadership and Involvement Awards. Their work this year truly helped make a difference in the lives of students and the Winona State University community. All nominees were recognized at a ceremony on Thursday, April 27 with a small reception afterwards in the Atrium. These awards were presented by the Alliance of Student Organizations, WSU Student Senate, and the Warriors L.E.A.D. Series. Family establishes scholarship to help members of the Clemson family achieve their dreams. A college degree is one of the most valuable tools to success, but now more than ever young adults are faced with obstacles ultimately limiting their chances of achieving this dream. 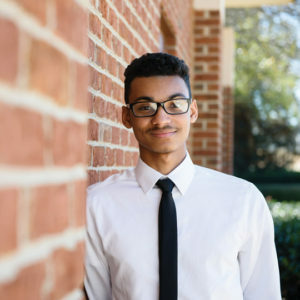 Clemson joined the Annexstad Family Foundation’s Leaders for Tomorrow national scholarship program in 2016, with the scholarship awarded to Xavier Smith ’20, a McColl, S.C. native. The high school senior was overjoyed to learn that he was Tigertown Bound. However, in addition to a feeling of joy also came a feeling of apprehension. How would the cost of his college education be covered? The Leaders for Tomorrow scholarship was an unforgettable surprise to Smith. “I was really excited when I found out I received it. I called my entire family, and they got excited, too,” he said. “The first day I got to Clemson, I was so excited. My roommate is one of my friends from high school, and we spent the day walking around campus meeting new people. Without the Annexstad Family Foundation Scholarship, I wouldn’t be here right now having these moments,” he said. Smith never watched much college football prior to coming to Clemson, but that has certainly changed since becoming a Tiger. He has developed a strong love for Clemson football and is happy to say the team won the 2016 College Football National Championship his freshman year.